To celebrate World Community Arts Day 2014, we have been asking people to tell us their Mysteries. In exchange we gave them a little pot of Mystery seeds as a thank you. We are going to use these as inspiration and starting points for creative writing projects which we will be running over the next 12 months with various community groups. 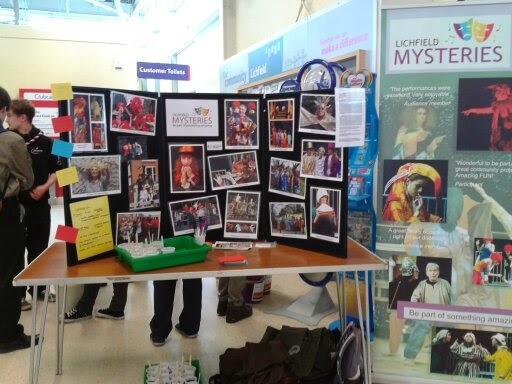 Many thanks to Tesco for allowing us to hold the event in their store and a very big thank you to all of the people who shared their mysteries with us.